Iran condemned Netanyahu's Monday statements to Putin regarding a "second terrorist front" against Israel in the Golan Heights as nonsense and drivel. Iran condemned Israeli Prime Minister Benjamin Netanyahu's claims that the country seeks to supply weapons to Hezbollah in Syria to open a "second front" against Israel in the contested Golan Heights. 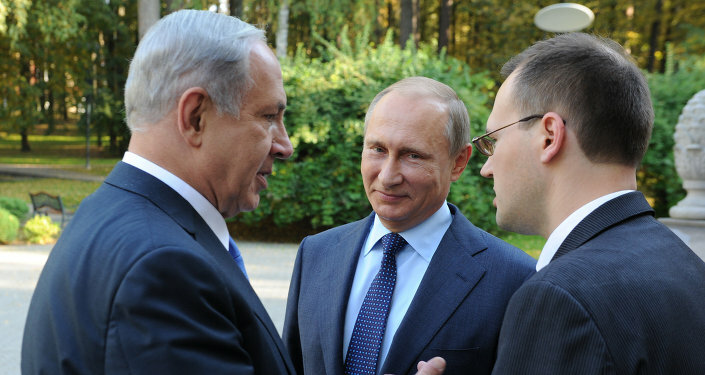 During his visit to Moscow on Monday, Netanyahu told Russian President Vladimir Putin that Israel seeks to prevent arms shipments to Hezbollah. Putin countered, saying that Syria's army and the country itself are in no condition to open a "second front." Speaking in Moscow, Iran's deputy foreign minister Amir Abdollahian condemned Netanyahu's statement as "nonsense." "Mister Netanyahu made great efforts to make the nuclear deal not happen. And he made great efforts to encourage various countries so that they support Israel's policies. Fortunately, no one helped Netanyahu on these issues. And because of this in recent days, after [his] defeats regarding the nuclear deal, we see him making unbalanced statements. But what he says is nonsense and drivel," Iran's deputy foreign minister Amir Abdollahian said on Tuesday. Israel and Iran are at odds over Syria's crisis and over Israeli allegations that Iran is sponsoring the Hezbollah movement, which fights alongside Syrian troops, as a proxy against Israel. Israel has carried out airstrikes in Syrian territory, in retaliation to rocket fire attributed to militants and against alleged Hezbollah weapon convoys. Putin told Netanyahu on Monday that the said rocket fire against Israel is known to be coming from home-made launcher systems, rather than advanced weapons. During Netanyahu's Mosсow visit, Russia and Israel agreed to boost information sharing regarding military activities in Syria. Israel occupies the Golan Heights, which are internationally recognized as Syrian territory.